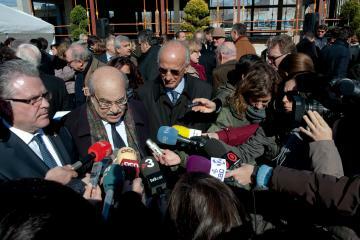 The groundbreaking ceremony of the Escola Internacional generated a great media echo in Tarragona. Since February the 13th local newspapers, television programms and radio stations have published a great amount of news related to the ceremony. The Secretary for Economics and Knowledge, Mr. Andreu Mas-Colell, the mayor of Salou, Mr. Pere Granados Carrillo and the president of the Escola Internacional del Camp Foundation, Mr. Josep Maria Bach Voltas, attended the ceremony and partook in a tour of the buildings.